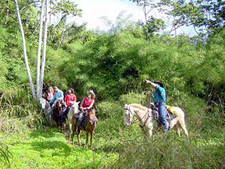 Belize Horseback Riding - "Our Belize Vacation"
Due to growing tourism, horseback riding is becoming increasingly popular with many visitors. 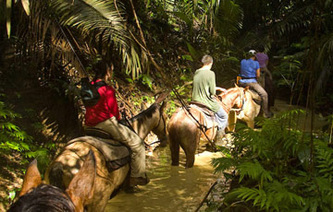 Horseback riding is the best way to visit and experience the rain forests jungles of Belize. 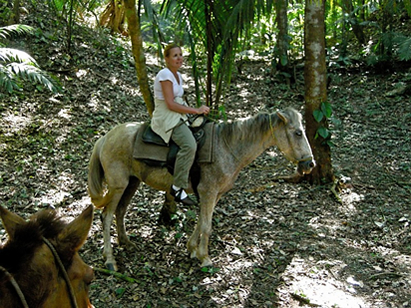 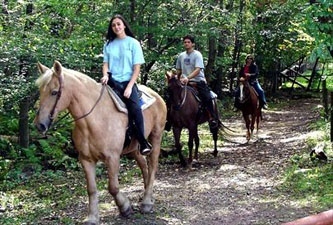 The terrain here is wonderful for horseback riding. 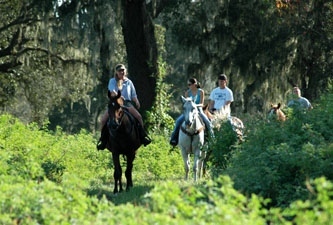 Most riding tours will take you to one or more of the major attractions in the area, or at least to some quiet swimming hole, or isolated waterfall. 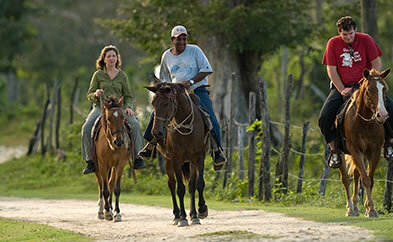 Many visitors may be pleasantly surprised to learn, that Belize has many horses admit its jungle setting. 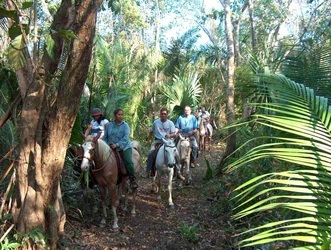 Horses traditionally have been used in Belize going way back to the time of logging, when much of the harvesting was done manually with horses and slaves. 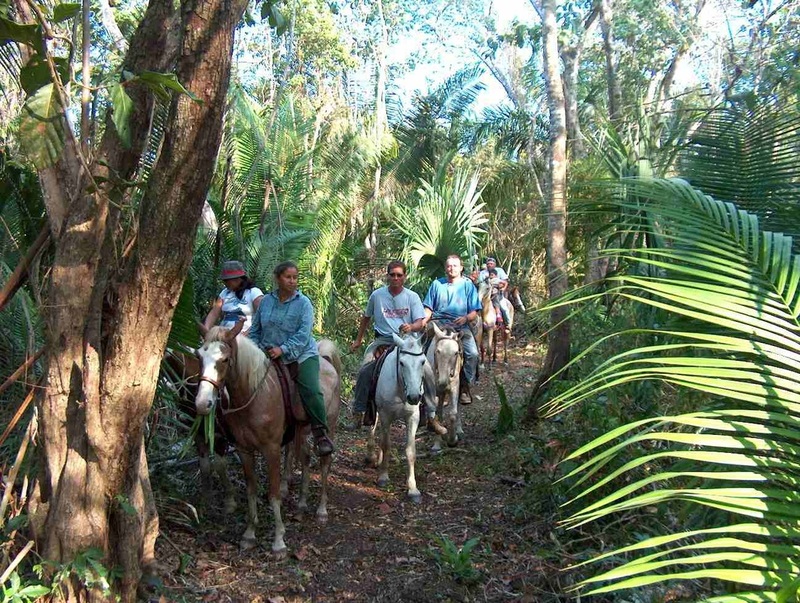 Today, horses continue to be used for hauling logs out of the jungles, and for pulling the occasional Mennonite wagon to market.